Lively is the new Google virtual world and Google are aiming to use Lively to make the social web more interactive. 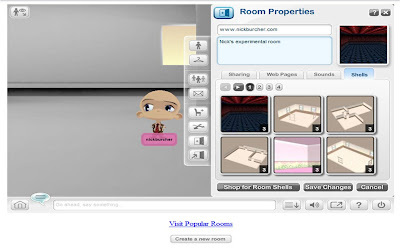 The Lively project allows users to create their own 3D Lively area and then embed this area on their blog or other web presence. Friends and other Lively users can then visit and have conversations in an interactive way rather than in the traditional static fashion of comments on blogs etc. Whilst Second Life isn't mentioned in any of the press releases, a lot of the functionality ideas behind Lively seem to be similar, however the crucial difference is that Second Life exists in a closed bubble whereas Google are aiming for Lively to be open and distributed wherever content allows. The sign up is very straight forward. Go to http://www.lively.com/ download the simple software and you are ready to sign in using your Google / Gmail account username and password. You then pick your Avatar name and go straight to someone elses room or start to create your own.